Can the overclocked 768MB card beat its 1GB older brother? Asus has gone light on the overclocking, so was it worth the trouble? 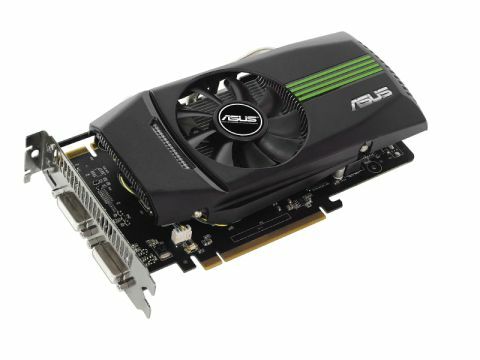 We've already seen the stock GTX 460 768MB, and now it's the turn of the overclocked cards in the shape of Asus' GTX 460 768MB TOP edition. The GTX 460 looks set to be the most successful iteration of the Fermi architecture that Nvidia has released to date. That's mainly thanks to a redesigned chip, still based on the same technology that made the GTX 480 such a blisteringly fast, and hot, card. This new GF104 GPU is a far more streamlined chip compared to the fairly bestial GF100. It still has the same basic premise running through it, but more cores have been squeezed into fewer streaming microprocessors (SMs) and more texture and special funtion units have been jammed in there too. Nvidia has also created two versions of the card; a full-fat 1GB version, like Zotac's, and a cut-down 768MB version. It's not just the memory that's been cut for these cheaper cards; the memory bus has been changed from 256-bit to 192-bit, the L2 cache has been dropped down to 384kb and the ROP count has been cut from 32 to 24. We've already looked in depth at the GTX 460's GF104 chip architecture.